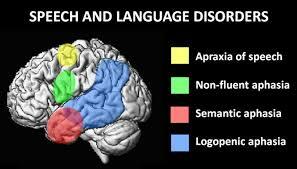 Language Disorder research papers examine the difficulties an individual with a language disorder has with processing linguistic information. Language disorder research papers are written for education majors studying how to teach students with language disorders. Paper Masters custom writes all projects and we can help you. A language disorder is a difficulty in processing linguistic information. An individual may have difficulty with grammar, semantics, or any other aspect of language. Language disorders are separate from speech disorders, which involve a difficulty with the act of speech pronunciation. Language disorders involve either trouble in understanding others, known as receptive language, or the sharing of thoughts, ideas, and feelings, which is known as expressive language. Language disorders can result from strokes, a condition known as aphasia. For children, language disorders are generally present from birth, and it has been estimated that as many as 1 out of every 20 children has some language disorder. Language disorders frequently occur in children with autism spectrum disorder, learning disabilities, or hearing loss, but are rarely caused by any lack of intelligence. Children with receptive language disorders will display symptoms such as having a hard time understanding what other say to them, following directions, or organizing their thoughts. Expressive language disorder symptoms include having difficulty in putting words into sentences, difficulty in finding the correct word, lower vocabulary skills, echoing parts of questions, and the improper use of tenses. Language disorders can affect a child’s socialization. Asperger's Disorder - Asperger's Disorder research papers analyze the Asperger's syndrome that is a part of the Autism Spectrum Disorder. Autism Treatment - Autism Treatment research papers report that treatment is most effective when symptoms of autism are found early. Order a research paper on autism from Paper Masters. Dementia - Research papers on dementia can focus on the disorder itself or on related diseases such as Alzheimers. Speech and Down Syndrome - Key among these issues is language and speech development. Language - Language Research Papers look at the different ways in which we use language in society. Paper Masters writes custom research papers on Language Disorder and examine the difficulties an individual with a language disorder has with processing linguistic information.